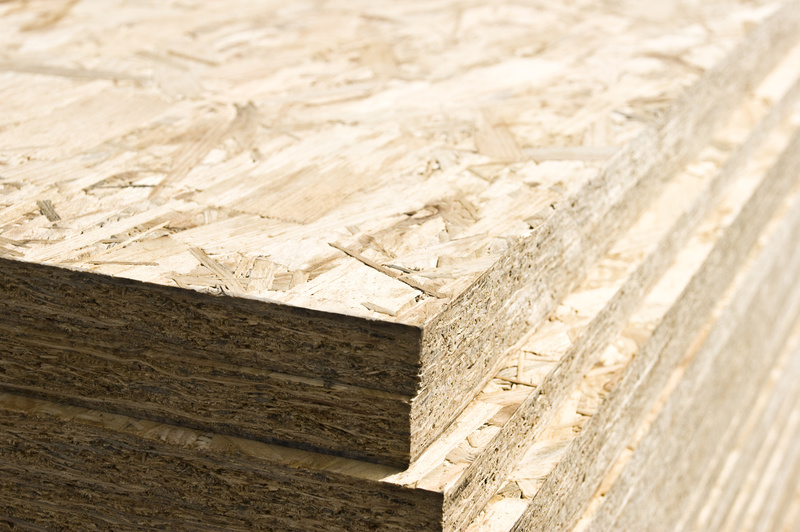 Wood-based materials are one of the main sources of formaldehyde in indoor air. Formaldehyde may be contained in wood-based materials, e.g. for construction and furniture, as a constituent of adhesives, and is considered to be carcinogenic. Here are answers to key questions from the perspective of indoor air hygiene. Formaldehyde has been in use for a long a time. Originally, it was used mainly as a preservative. Consumption levels grew considerably with its use as constituent of adhesives in wood-based materials for furniture, refurbishment and prefabricated construction. Formaldehyde was classified in the EU as “suspected of causing cancer” (category 2 under the CLP Regulation) until in June 2014 the EU classified it as “may cause cancer” (category 1 B under the CLP Regulation) on the basis of new findings. Classification as carcinogenic relates to substances which may induce cancer or increase its incidence. A substance is placed in category 2 if animal or human evidence is not convincing enough to warrant classification in category 1(B). Category 1B is applied if based on animal evidence or epidemiological data a substance can be presumed to induce cancer in humans. Use restrictions may be imposed as a result. Rats repeatedly exposed to high concentrations of formaldehyde by inhalation developed tumors in their nasal cavities over their lifetime. A number of scientific studies on the effects of high exposure to formaldehyde at the workplace found an incidence of cancer of the nasal cavity and nasopharynx among exposed workers over their further lifetime that was higher than would be expected without exposure to formaldehyde. Other occupational studies did not, however, confirm these findings. That is why the substance was not classified in the highest category, 1A (known human carcinogen). How can formaldehyde harm my health? The effects of formaldehyde on human health have been assessed by many national and international panels on the basis of extensive available scientific data. The results indicate that the carcinogenic effect depends on a combination of factors. Animal studies showed tumors in the nasal cavity to occur only at concentrations that first induced damage to the mucous membrane and an increased rate of cell division. In other words, in general these effects which ultimately result in cancer are not expected to occur below a certain formaldehyde concentration. In addition to the above effects on mucous membranes through inhalation, elevated concentrations of formaldehyde in indoor air may cause eye irritation. The question of whether formaldehyde may induce or aggravate asthma remains unclarified. What are indoor sources of formaldehyde? There is a multitude of products which contain formaldehyde and may outgas formaldehyde to indoor air. Although products have been improved over the last decades, wood-based panels, flooring, furniture and certain insulating materials (e.g. in-situ foam produced from urea-formaldehyde (UF) resin) are still considered the main sources. Tobacco smoke contains relatively large amounts of formaldehyde, and even burning candles can be a source of formaldehyde release into indoor air. Disinfectants, cosmetics and textiles can also contain formaldehyde. What is being done to protect my health? Efforts to protect the general population are aimed at minimising the concentration of formaldehyde in indoor air. In Germany, the Committee for Indoor Air Guide Values (Ausschuss für Innenraumrichtwerte, AIR) – convened by the German states and the German Environment Agency – develops recommendations for maximum levels of substances in indoor air. For formaldehyde, a guide value of 124 µg/m3 set by AIR has been in place for some time. The World Health Organisation recommends a somewhat lower value (100 µg/m3). The AIR is currently discussing an adjustment to match the value recommended by the WHO, but is also considering a lower value due to the potential effect of the substance on asthma sufferers. The German Committee for Health-related Evaluation of Building Products (AgBB) has been active for many years in defining and regularly updating limits for emissions of substances in building products to indoor air. The Deutsches Institut für Bautechnik (DIBt) has required corresponding tests for the approval of flooring, bottom application layers, parquet varnishes, surface coatings for flooring, adhesives, and wall coverings, which also address the outgassing of formaldehyde. In Germany, the Chemicals Prohibition Ordinance provides that coated and uncoated wood-based materials (chip boards, core boards, multiply plywood and fibre boards) may not be placed on the market if the steady-state concentration of formaldehyde from the wood-based material in the air of a test chamber exceeds 0.1 ml/m3 (equivalent to 0.1 ppm, or 124 µg/m3). Furniture containing wood-based materials that do not comply with this requirement may not be placed on the market, either. The Chemicals Prohibition Ordinance further provides that detergents, cleaners and maintenance products with a content of formaldehyde exceeding 0.2% by mass may not be placed on the market (exception: industrial cleaners). For further details, see Chemicals Prohibition Ordinance (in German). In addition, government authorities are working to modify testing requirements for wood-based materials containing formaldehyde to adapt them to the test conditions required for all other construction products containing formaldehyde and to the structural features of today’s buildings. We recommend that you use products bearing the Blue Angel eco-label, as these present significantly lower risks for your health and the environment than comparable products. The award criteria documents are available on the Blue Angel website. We also recommend that when in doubt, users should ask manufacturers for evidence and indications of the safety of their products. In some cases, such information (test certificate) is already indicated on the packaging. In addition to choosing low-emission products and materials, a general recommendation for healthier air in homes and offices is to air out rooms regularly. This will also reduce any formaldehyde present in indoor air. German Environment Agency (UBA), Divisons II and III.